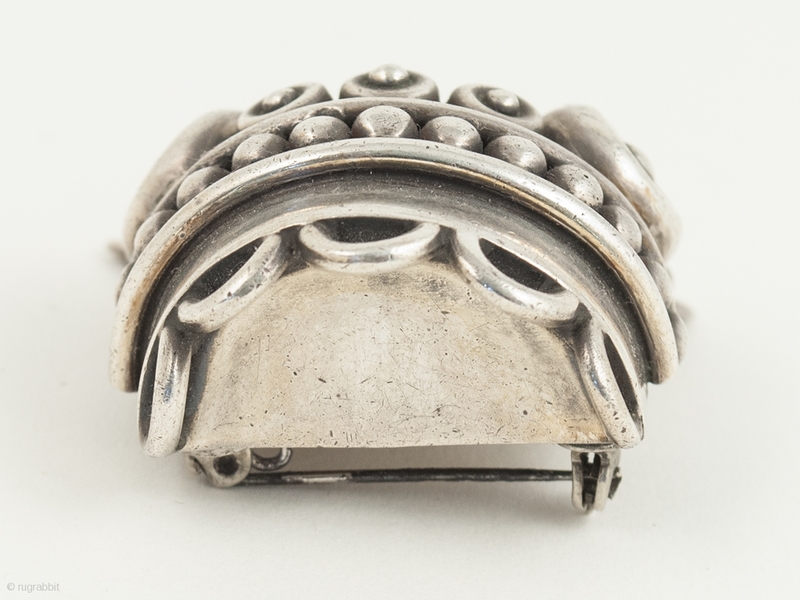 Aztec head brooch or pin, Talleres de los Ballesteros, Taxco, Mexico. Silver, amethyst, Mid-20th century. 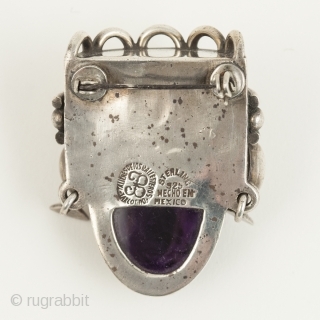 1.75" (4.5 cm) high. 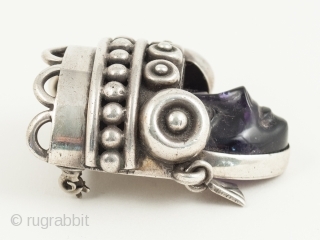 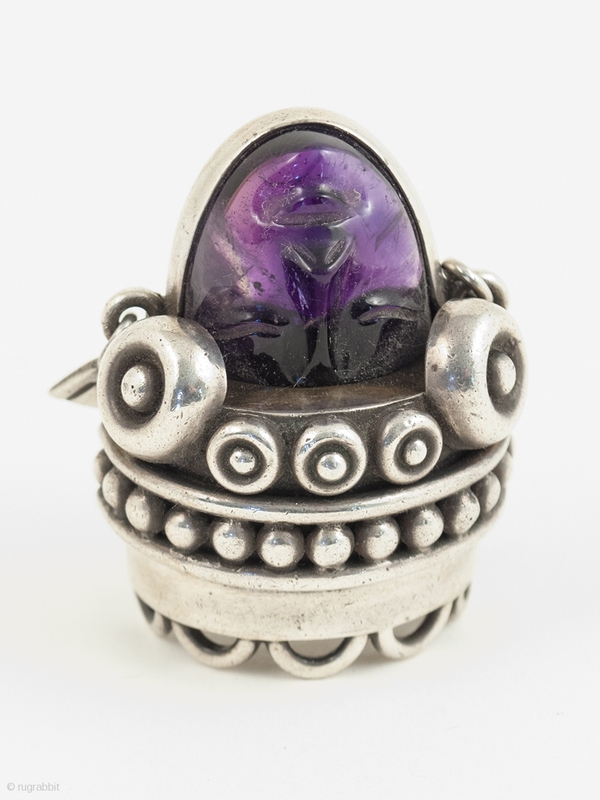 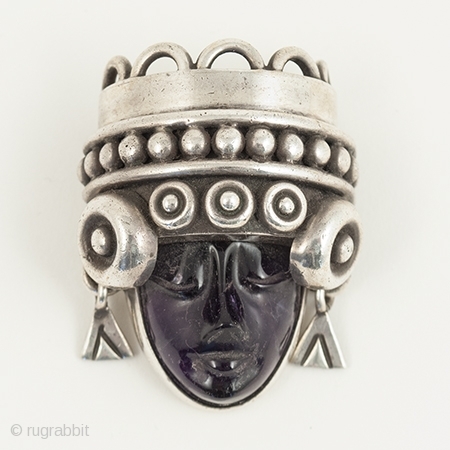 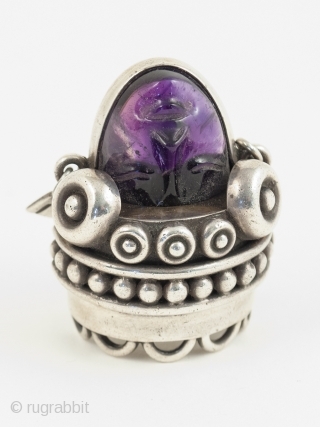 a beautifully carved amethyst head of Aztec royalty set into a sterling silver brooch. 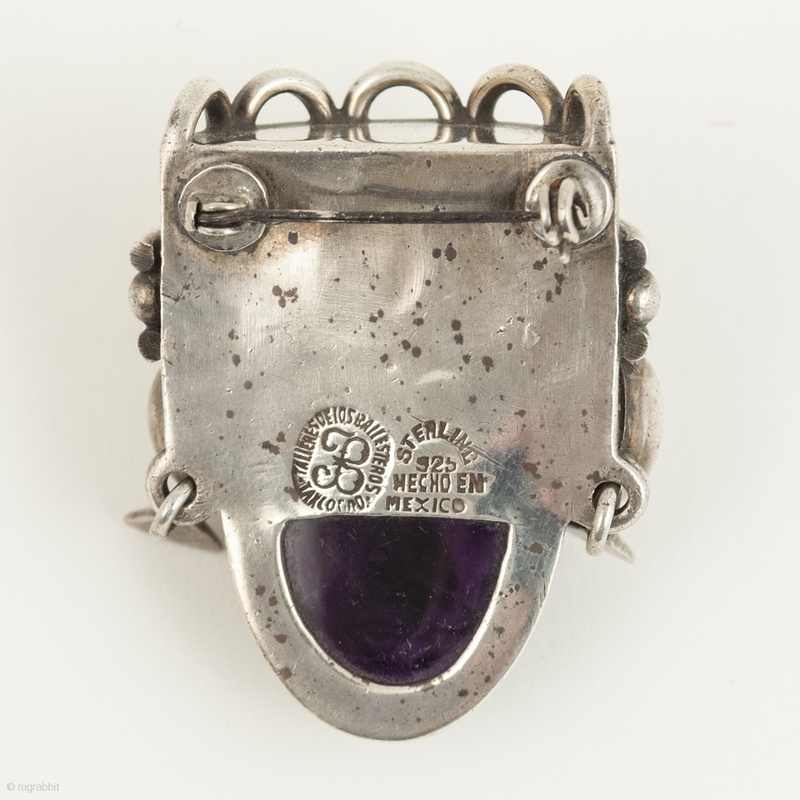 It has the hallmark Talleres de los Ballesteros and Hecho en Mexico Sterling 925 on reverse.